The Walia live on nearly vertical cliff faces and narrow ledges in restricted area within the Semien Mountains. The gelada, a primate, which looks like a cross between a lion and baboon, is another exclusively Ethiopian species, which lives in this habitat. Over fifty species of birds have been positively identified in the Semien Mountains. The Semien region, though it is in the continent of Africa and not far from the Equator, has temperatures which sometimes drop below freezing at night. On the other hand, the sun’s rays beat directly down and the rarefied atmosphere does not act as an effective filter. The visitor should thus be prepared for warm days and the likelihood of sunburn. The Ethiopian Rift Valley is part of the Afro- Arabian Rift system, bounded by the Arabian plate to the north, African plate to the west, and East African plate to the east. It is a system of down faulted troughs starting from the Jordan- Dead Sea Rift, the Red sea, and the Gulf of Aden, and continues southwards through East Africa Rift up to Mozambique. This feature of the earth’s crust extends approximately 6500 km in a generally north-south direction. The Rift Valley is a geological relic of the critical weakening in the earth’s crust along two roughly parallel faults which opened some 2 million years ago the world’s largest geological divide. The Ethiopian Rift Valley offers eight spectacular chains of lakes. These lakes formed during the period of high rainfall in the quaternary era when much of the world near the poles was covered in ice. During this time the northern four lakes Ziway, Langano, Abyjata and Shalla were one and the southern two Abaya and Chamo were one. As the earth’s climate warmed in comparatively recent geological times the rift valley lakes receded leaving extensive deposits of sedimentary rocks. The Ethiopian Rift Valley offers eight spectacular chain of lakes. These lakes formed during the period of high rainfall in the quaternary era when much of the world near the poles was covered in ice. During this time the northern four lakes; Ziway, Langano, Abyjata and Shalla were one and the southern two Abaya and Chamo were one. As the earth’s climate warmed in comparatively recent geological times the rift valley lakes receded leaving extensive deposits of sedimentary rocks. 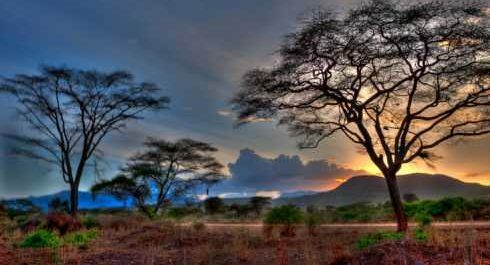 Nechsar National Park, which is one the nine national parks in Ethiopia has an area of 514 kilo meter square. Nechsar (White grass) refers to the central grassy plains which are always associated with Burchell’s zebra and the parks most striking features. Bale mountains is an area of high altitude plateau that is broken by numerous Ethiopian Wolf spectacular volcanic plugs and peaks, beautiful alpine lakes and rushing mountain streams that descend into deep rocky gorges on their way to the lowlands below. Red Jackal Tour Operator, established in 1998 E.C specializes in safari and cultural tours to meet its customers’ interests and organize different packages to suit the clients’ travel plans. Red Jackal tour operator is a private limited company, located in the heart of Addis Ababa.